The rural original of the name of Wandsworth — the village of the river Wandle — does not describe very accurately the present town-like appearance of the place. Wandsworth is too near London to retain much of a country character, and it is now filled with factories, mills and miscellaneous works. The manufacturing element entered early into the economy of the village: thus Aubrey relates that before his time there had been established at Wandsworth a manufacture of "brass plates for kettles, skellets, frying-pans, etc., by Dutchmen who keep it a mystery." The houses where this was established were long known as the "Frying- pan houses." 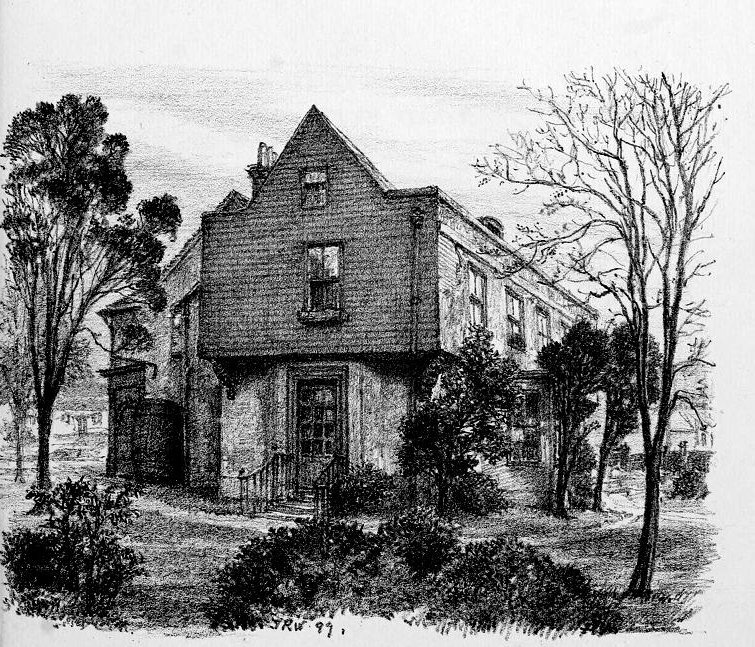 Few picturesque old houses are left in Wandsworth, but the curious old building shown in Mr. Way's drawing, is one of these few. One of the special characteristics of this house is to be found in the elaborately carved wood brackets which support the upper part of the building. It appears to have been built early in the seventeenth century, and an inscription on the front gives the exad date as 1620. Way, T. R., and H. B. Wheatley. 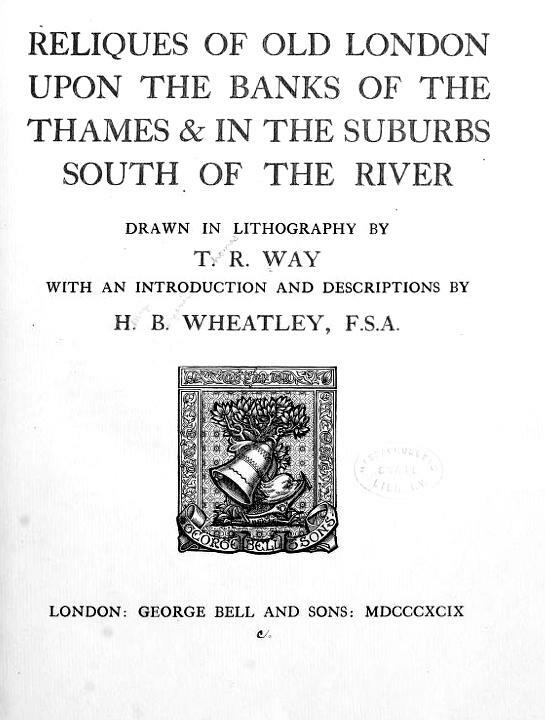 Reliques of Old London upon the Banks of the Thames and in the Subburbs South of the River. London: George Bell and Sons, 1909. [title page] Internet Archive version of a copy in the Boston Public Library. Web. 22 April 2012.